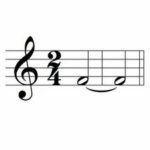 Naming Tied Notes - What's the Rule? Has this ever happened to you - you know that you know the answer to a question, but suddenly you start doubting yourself and you question your answer even though you know that you know it? Confused yet? LOL! I used to question myself all the time when it came to naming tied notes. In Prep 2 Rudiments on Page 19, we learn that a tie is a curved line that connects two or more notes of the same pitch. The first note is played and held for the value of both (or all) tied notes. Ties usually occur between notes in neighbouring measures. So, naming tied notes should be easy, right? Do you know the rule for naming tied notes? Did you know that there actually is a rule for naming tied notes? Watch what happens in this Naming Tied Notes Lesson with Ultimate Music Theory's Granny D.
Let's have fun - can you name the following notes? Okay, that doesn't look right, does it? Well that certainly looks better, doesn't it? The rule for naming tied notes is that the note is only named when it is played (depressed). So now how can we get our students to remember this rule for naming tied notes? Picture it - you are in a room with lots of people. When you shake hands with someone, you introduce yourself. You only introduce yourself once while you are shaking hands - you don't hang on to the person's hand and say "My name is Shelagh...my name is still Shelagh....and yup, I'm still Shelagh". Every time you grab someone's hand to shake it, you introduce yourself once. That is like our notes. Every time our hand plays a note, we "introduce" the note (we name the note). As long as we are still playing the note (still shaking hands), we don't have to reintroduce ourselves! My students really enjoy seeing how silly I can be when I keep "introducing" myself as we shake hands. That silliness helps create the memory jogger of how silly it is to keep saying the name of the note when we are still holding the note down. When you name the note every time the notehead is written, it is like introducing yourself, pausing and then saying "I'm still F", and then pausing some more and saying "Yup, I'm still F". So, with that image in mind - name the following notes. 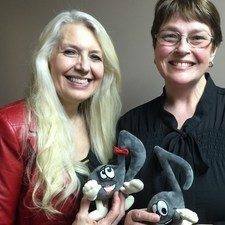 Before I give you the answer, I want to remind you that you can learn a number of Mnemonic Tips for teaching when you take the Ultimate Music Certification Course. Click here for more information. And don't worry if you don't know what a "mnemonic" is. I didn't - but when I discovered what it was, I realized that I used mnemonics all the time without knowing what it was called. Remember, it is OK to question yourself! I like to say: "You don't know what you don't know until you realize that you didn't know it!". So if you have any questions, never hesitate to ask for clarification. That's what I am here for. 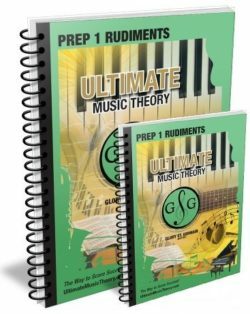 No matter what the age of the beginner student, all students will learn better when you add the Ultimate Music Theory Prep 1 Rudiments Workbook to their Method Series. My 6 year old students use it and my 60+ year old students use it. It really does support a solid foundation in note and intervallic reading! 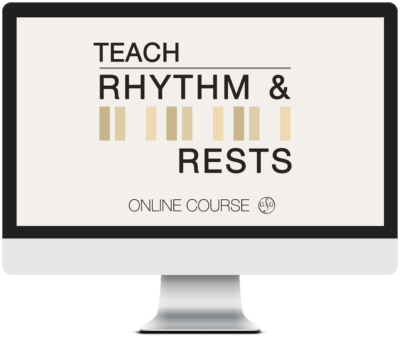 For an overview of what is covered in each UMT Workbook, visit our Music Theory Overview Section under the Free Resources tab. If you are not sure where to start, this Music Theory Overview outlines the progression of concepts in each level of the Ultimate Music Theory Workbook Series. And, if you still have questions, email me!